It happened again! 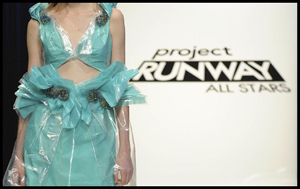 Project Runway: All Stars continues, despite the gaping void left by Tim Gunn's absence. Luckily the fact that these are hand-picked all-stars doesn't stop them from making terrible, terrible clothes that I can make fun of. This episode is themed A Night At the Opera, although inexplicably nobody makes a Marx Brothers reference. The designers are told to make "showstopping ballgowns" and are told that this is the time to make couture. They have one day. 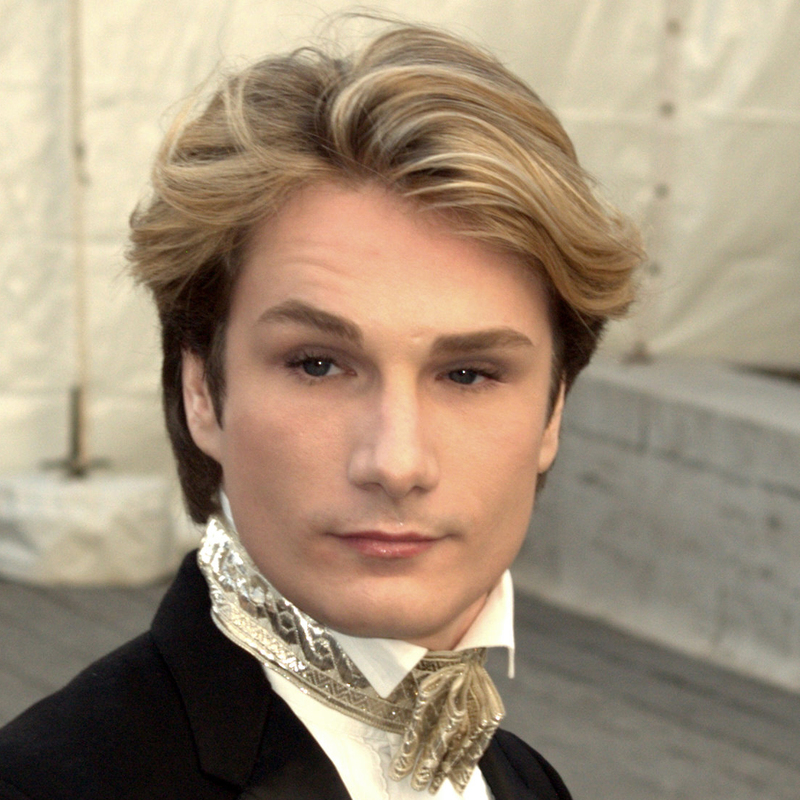 Everyone's eyes are on Austin, as he makes amazing ballgowns (in fact that is pretty much all he makes). 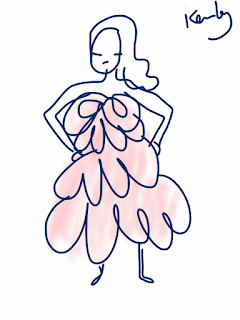 As Kara puts it, "Evening wear I can do, but it's not my PAPOO moment. It is Austin's PAPOO moment." WHAT ARE YOU TALKING ABOUT KARA. You can't just go making up words and using them like we know what you're talking about! Suddenly I hope Kara stays on the show for a long time, and gets a lot of screen time. Michael has a minor meltdown when April chooses red, but then grabs black jersey. As it turns out April is ombre dying her fabric with black dye, going for a Tim Burton-esque, goth-lite, I'm-totally-wearing-this-to-prom-and-you-can't-stop-me-mom-and-I-am-SO-a-Wiccan vibe. Kara has chosen an unbelievably ugly FLORAL fabric. "I constantly feel like I'm under pressure," she confides to the camera, but neglects to point out that she's not here to make friends and that she'll have to bring her A-game. 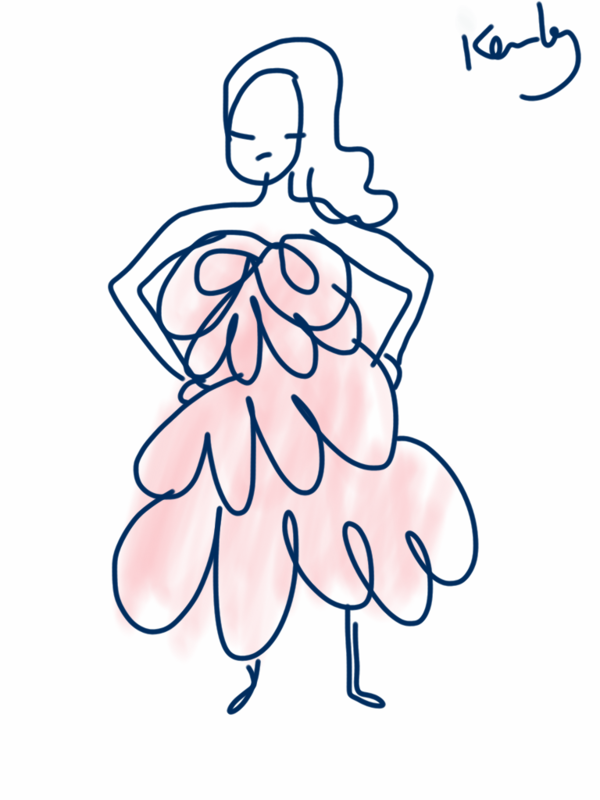 Kara continues to morph into My Favourite Contestant when she worries that her (terrible, ugly) dress just isn't show-stopping enough compared to Austin's gown. "With this design, I don't feel like I'm, like, going... off the cahoonies!" Kara, you are DEFINITELY going off the cahoonies. Jerrell continues to develop his Overly Confident Villain persona (possibly accidentally, simply by being completely self-absorbed). "Job well done Team Me!" he exclaims over his completely awful dress. Let's get on that runway for out PAPOO moment! 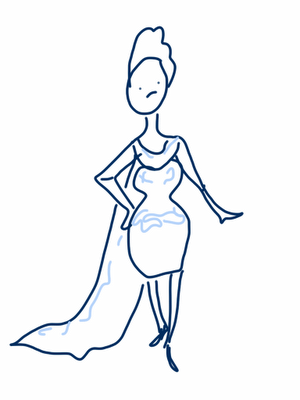 I was worried that the designers-- sorry, "All-Stars" would make classy, beautiful gowns and this would be a really boring episode. Luckily for me, this was not to be. The runway was a MESS. Kenley has made a godawful pink mess of a dress. It is layer over layer of fairy floss and polka dots, completely unsuited to the challenge and very unflattering. 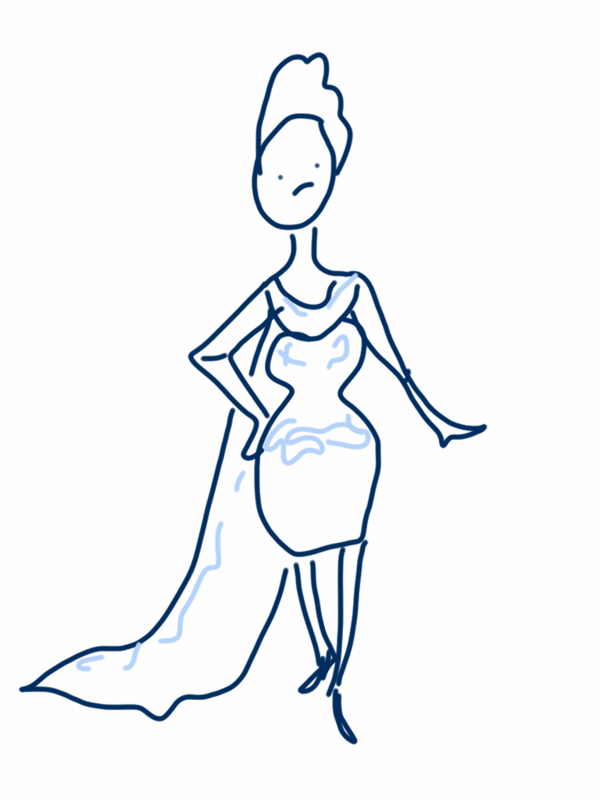 In fact, unflattering seems to be the theme of this runway. WHERE ARE THE WAISTS? Is this a new thing, dresses with no waists that make even models look 3-4 months gone? 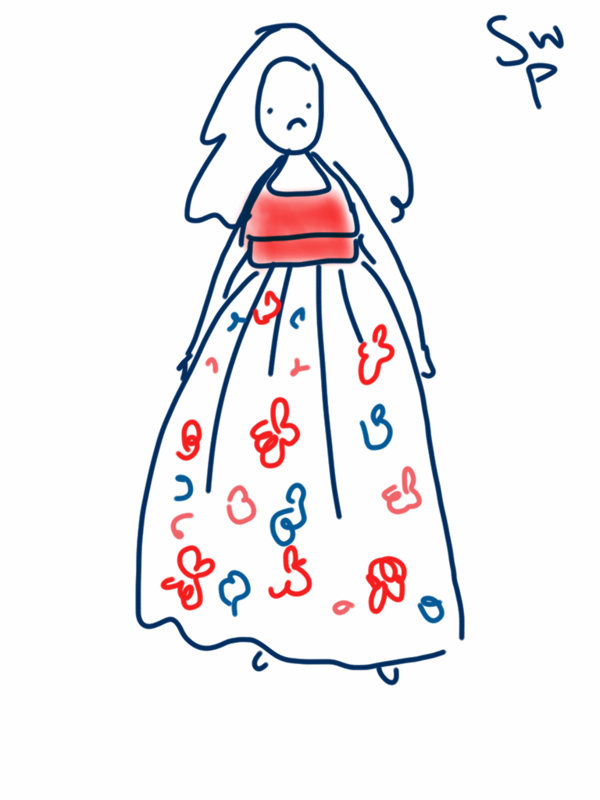 Sweet P (I always think of her as Sweet Potato) has made a completely confusing dress: sloppily sewn orange bodice with a big floral skirt and no waist. 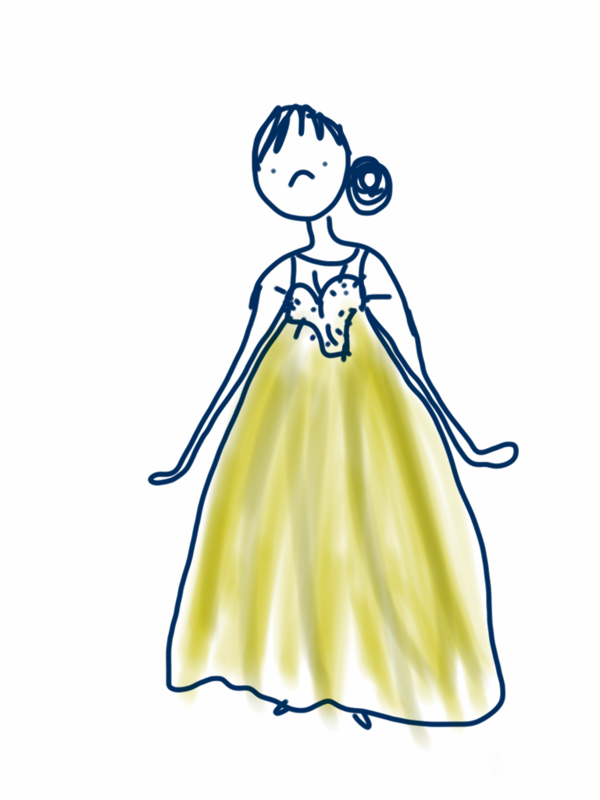 My drawing might make it look like it has an empire waist, but no, it just starts poufing out from there. Sadly my beloved Mondo has lost the lot a little and given us a cross between bride, 60s stewardess and 70s Liz Taylor. Actually that sounds kind of awesome but this dress is awful. White satin with a silver-blue floral pattern and a train? BOOOOOOO. Jerrell's dress is amazingly ugly. It's a khaki taffeta skirt and feathery/hairy bodice with the same waistless design as half the other designers. He is thrilled. "Let's just say that I'm still reaching around and patting myself on the back for a job well done!" Oh yeah, giving yourself the old reach-around. 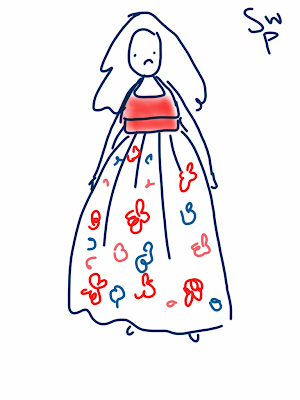 Kara's dress is the same silhouette YET AGAIN but this time in an ugly floral print with a black sash. A Night at the Opera, ladies and gentlemen. Austin has the clear winner, a gorgeous gold lamé and black tulle 30s-inspired backless number. SO beautiful, perfect styling. April's black-dyed red dress is so, so sad. Her model looks like a cosplayer. Michael makes an impeccable black draped gown, AS ALWAYS. Yawn. OK, it has some nice feathery stuff around the neck, actually now that I'm remembering it it's totally stunning, but PLEASE LET AUSTIN WIN. There is some justice in this world because Austin wins. The bottom three are April, Sweet P and Kara... and Sweet P goes home. Not a big surprise there. 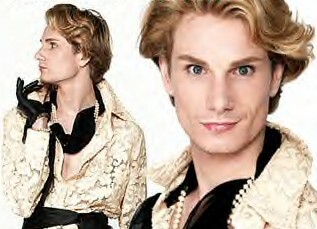 Now please enjoy these pictures of Austin Scarlett! "There's a fan behind me? Well of course there is, I'M AUSTIN SCARLETT!" "It is a truth universally acknowledged that a single man in possession of a sewing machine must be in want of thirty yards of tulle"
"I am prettier than you." Too bad there's no Tim this time but it's still very watchable. Mondo is my favourite and I love him! I cannot WAIT for your next recap. I watched the episode going OMG JESS IS GOING To GO NUTS. This Austin Scarlett looks like the love child of Carson Kressley and Chairman Kaga. Opinion: The DC New 52 Disaster! Tuesday Bounty! Glorious Bounty Explodes! Johnny Depp Slaps Some Kid in the Hospital.